LONDON (AP) — Just weeks after hinting it would raise interest rates, the Bank of England held off doing so Thursday, arguing it was best to wait after an unexpected spell of wintry weather hurt economic growth. The bank’s Monetary Policy Committee voted 7-2 to keep the main interest rate at 0.5 percent, a decision that seems swayed by weak economic data in recent days. Until a few weeks ago, the bank was widely expected to raise the main rate by a quarter-point to 0.75 percent, its highest since 2009, when Britain was in its deepest recession since World War II. 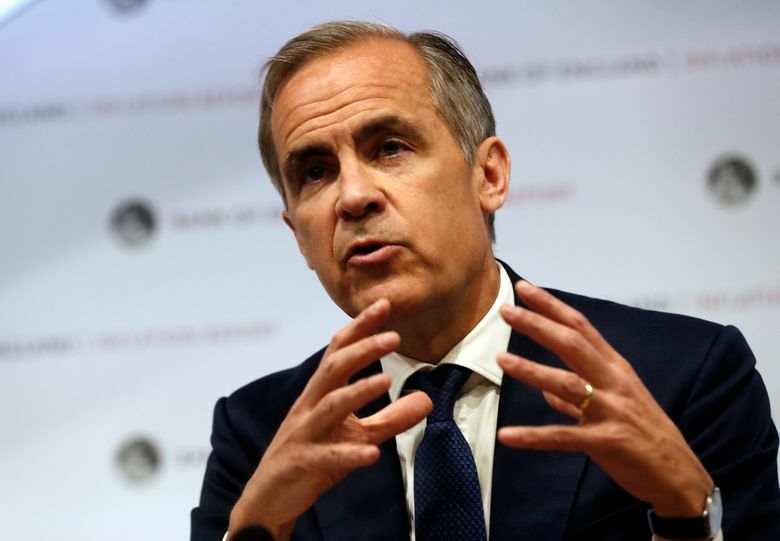 Bank of England officials, including Governor Mark Carney, had appeared to endorse that expectation and their decision to not follow through has led to accusations they are becoming unpredictable. 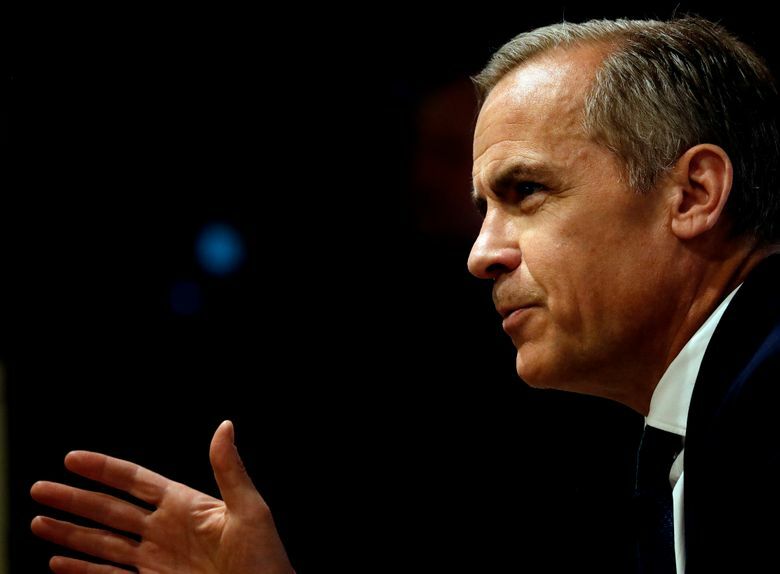 Carney has been labeled an “unreliable boyfriend,” having already in the past flagged up a rate hike only to back out later. Carney defended himself against that charge, arguing that when the situation changes, the bank’s policy response has to change. That is something that households and businesses understand, he said. “They expect us not to be on some pre-set course. They expect us to be prudent, not passive,” he said. Investors appear unclear as to what’s likely to happen next. The pound, which last month hit its highest level since the country voted to leave the European Union in June 2016, at $1.40, is faltering again. It fell another 0.2 percent Thursday to $1.3500. “So yet again we have to digest another change of tack from Bank of England policymakers,” said Michael Hewson, chief market analyst at CMC Markets. Besides making financial markets more volatile, the uncertainty on the path of interest rates can complicate planning for companies and households that have to decide, for example, when to take out a loan or repay debt. 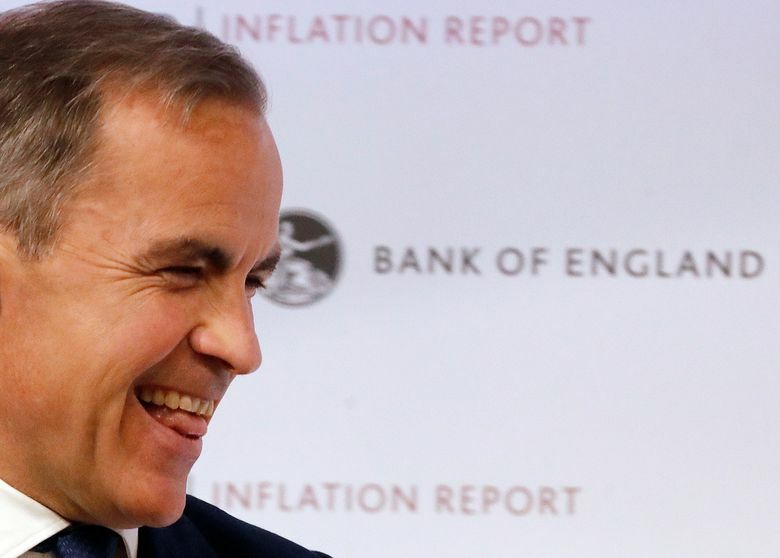 Carney said the central bank was still prepared to raise interest rates again — having hiked them in November for the first time in a decade — if the economy picks up again, as expected. The slowdown in the first three months of the year was one of two reasons why the Bank stayed pat. The economy grew by just 0.1 percent quarter-on-quarter, markedly below the Bank of England’s forecast of around 0.4 percent. Though the national statistics office downplayed the impact of the cold weather on growth, the Bank of England said the so-called “Beast From the East” cold weather front was a key factor. It particularly affected construction, Carney said. He argued that the “underlying pace of growth remains more resilient than the headline data suggest,” though the bank still had to revise down its forecast for this year’s growth to 1.4 percent from 1.8 percent. The second reason the central bank opted against another rate increase is that inflation has fallen more than anticipated. In the year to March, annual consumer price inflation was 2.5 percent, well below the bank’s projection of almost 3 percent. That matters as the Bank of England’s primary mission is get inflation close to 2 percent. The bank expects inflation to ease back to 2.1 percent by this time next year and get to target in two years, provided the main interest rate rises to 1.1 percent in two years and to 1.2 percent in three years. The two rate-setters who opted for an immediate quarter-point increase noted that unemployment is at its lowest level since 1975 and wages are growing, which could push up inflation. However, as with everything related to the British economy, much depends on the Brexit discussions. There’s still a lot of uncertainty over Britain’s post-Brexit relationship with the EU. The bank’s forecasts are based on an assumption that there will be a smooth transition to a new trading relationship. But like bad weather, Brexit appears to be a variable that’s hard to predict. “While the storms of February and March have given way to sunnier skies, the economic outlook for the U.K. remains clouded by Brexit uncertainties,” Carney said.